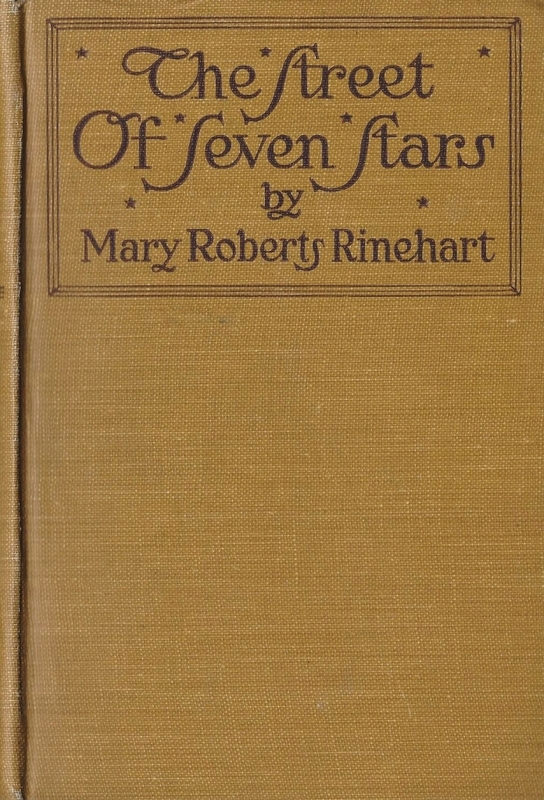 The Street of Seven Stars by Mary Roberts Rinehart ~ 1914. This edition: Grosset & Dunlap, 1918. Hardcover. 377 pages. First off, I’ll tell you what this book isn’t. It’s not a murder mystery, and it’s not a gothic romance, no matter what later covers and sensationalistic publicists’ blurbs might say. It’s merely one of Mary Roberts Rinehart’s early-career, sentimental love stories, padded out with a rather good depiction of immediately pre-war Vienna – that would be pre-Great War, in case you missed the publication date – and its fluid population of young foreigners seeking to further their education in one of the greatest centres of arts and sciences in their time. American Harmony is a violin student, fellow American Peter is a young doctor; both are talented and driven; both are poor as church mice; both are determined to stick it out in Vienna for the boost their access to specialists in their field will give their future careers. Neither has room in their life for romantic love; neither plan to marry. Need I go further? Point A will lead inevitably to Point B, but the path between is twisted and full of obstacles, such as friends with complicated love lives, a wee orphan boy dying of heart failure, and the judgemental frown of social mores, turning an innocent partnership to share expenses into a forbidden thing, if a young woman would retain her virtuous reputation. The theme throughout is sacrifice, and every character grapples with it, from charmingly innocent Harmony and her hopes of a musical career, to Bulgarian spy Georgiev who slips up and loses his place in the quickening Great Game as Europe readies itself for open conflict. The little Georgiev was in trouble those days. The Balkan engine was threatening to explode, but continued to gather steam, with Bulgaria sitting on the safety-valve. Austria was mobilizing troops, and there were long conferences in the Burg between the Emperor and various bearded gentlemen, while the military prayed in the churches for war. Though the chief love story of this standard sort of novel-of-its-kind progresses along traditional lines, some of the side stories diverge from the expected, and, along with the period atmosphere captured in brief by Rinehart’s facile pen, turn this slight, occasionally melodramatic period piece into something readable – and for the most part, very enjoyably so – a century past its time. The Circular Staircase by Mary Roberts Rinehart ~ 1908. This edition: Grosset & Dunlap, 1908. Hardcover. 362 pages. A decade and a half before Agatha Christie penned her first murder mystery in England, Mary Roberts Rinehart had a stunning success with this book, which established her as bestselling mystery and dramatic fiction writer in North America. It is sometimes claimed that she was the best-paid American author of her time; her book sales were in the millions. 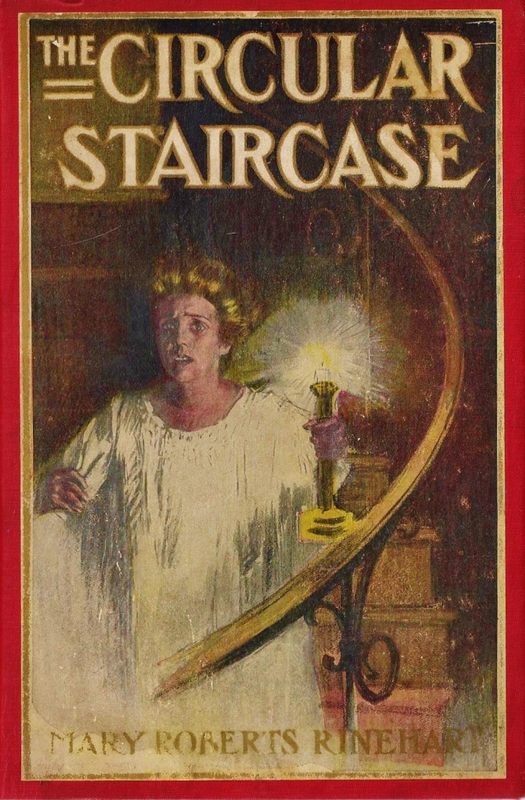 So I was looking forward to The Circular Staircase with great anticipation, having read enough of Mary Roberts Rinehart’s work over the years to know that she can indeed spin an engaging tale, usually including a nicely independent and outspoken female lead or two, in keeping with the author’s suffragette and proto-feminist leanings. And, by and large, The Circular Staircase mostly pleased me, in a low-key way, though it took me absolutely forever to work through. It has an unusual and most engaging narrator, the charmingly independent and opinionated Miss Rachel Innes. It helps with the independent and opinionated character traits that Rachel also seems to be quite wealthy and therefore able to indulge in letting herself speak freely – for who will argue with the lady who pays the bills? She also can be rather high-handed in her dealings with family members and subordinates, though her gently cynical self-mockery keeps us on her side, along with her obvious affection for her adopted niece and nephew and her personal maid Liddy. This is the story of how a middle-aged spinster lost her mind, deserted her domestic gods in the city, took a furnished house for the summer out of town, and found herself involved in one of those mysterious crimes that keep our newspapers and detective agencies happy and prosperous. For twenty years I had been perfectly comfortable; for twenty years I had had the window-boxes filled in the spring, the carpets lifted, the awnings put up and the furniture covered with brown linen; for as many summers I had said good-by to my friends, and, after watching their perspiring hegira, had settled down to a delicious quiet in town, where the mail comes three times a day, and the water supply does not depend on a tank on the roof. Having adopted her orphaned young niece and nephew some thirteen years ago, this summer finds all three of them preparing to settle down in a rented country house for a few months. Rachel has resigned herself to a disturbance in her long routine in order to indulge the wishes of the younger members of her establishment; she brings along her long-time companion and personal maid, Liddy, against that retainer’s grumbling resistance. Twenty-year-old Gertrude and twenty-four-year old Halsey are expected to flit in and out at will, being popular and well-heeled young people with many friends. Halsey has just purchased an automobile; it will play an important role in the summer of mystery and peril they are all about to embark on. For Rachel and Liddy are horrified to find, their very first few days in residence, that their idyllic country house has an unsavory reputation among the locals. Belonging to an absent banker, it has been empty for some months, and it turns out that strange noises have been heard and strange lights seen at night. Almost immediately upon arrival Liddy has managed to offend the few servants who were brave enough to take on employment, and Rachel is left servant-less and alone in the house but for jittering Liddy. Luckily she is able to acquire an ally in the person of Thomas. Liddy wanted to go back to the city at once, but the milk-boy said that Thomas Johnson, the Armstrongs’ colored butler, was working as a waiter at the Greenwood Club, and might come back. I have the usual scruples about coercing people’s servants away, but few of us have any conscience regarding institutions or corporations—witness the way we beat railroads and street-car companies when we can—so I called up the club, and about eight o’clock Thomas Johnson came to see me. Poor Thomas! This does not bode well, for Mary Roberts Rinehart in this book is abundantly generous with her broad hints of disaster to come, in what was to become her signature “Had-I-But-Known” mystery writing style. Now this is rather cute when used sparingly, but MMR has her narrator Rachel pop these foreboding hints in way too frequently for readerly comfort. There you are, caught up in the thread of the story, when the insertion of a “HEY! IMPORTANT CLUE COMING RIGHT UP” aside stops you dead in your tracks. Okay then, you think to yourself, what is she talking about? And you tiptoe carefully in to the next few paragraphs, wondering all the while where the clue is hidden. Sometimes it is quite obvious, and you sigh with relieve and get on with things. 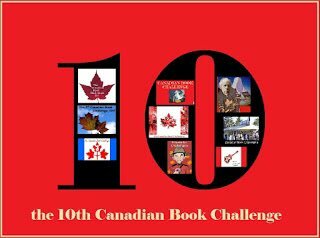 Other times it is pages – nay, chapters! – ahead, and so many other meaningful asides have been made in the meantime that you are completely lost as to which thing was important to what incident before and what did knowing this have to do with that and on and on and on. Sometimes the clue fails to materialize at all, leading to retrospective confusion as one tries to link it all together, and fails dismally. And this is what stopped me from loving this book. It is too darned long, and too darned illogical. It had its charms, for certain sure, but it was hard work to keep straight, and it took me well over a week to work through, as I kept putting it down in mild irritation and true confusion and turning to other things much more straight-forward. Without revealing the mystery of the summer place and its circular staircase (which is really not at that important to the tale in my opinion, and, I thought, something of a red herring supplied by the author) may I just say that the plot involves embezzled money, hidden/mistaken identities (multiple), a wicked doctor, a secret(ish) child, a hidden room, shots fired in the night, and a whole lot of people rushing about and missing their chances to clear important elements of the mystery up by keeping their odd little secrets for just a bit too long. Among other developments I’m already erasing from my short-term memory bank. Four deaths (at least I think it was four – that bit left me a bit bemused, too – corpses in this novel not always being reliable identified), including that of “poor Thomas” early on, tried my patience severely, mostly because of the generally nonchalant attitude of the survivors. There’s a bit of horror at the thought that “just yesterday a man lay dead right over there beside the table where the tea tray now sits” but by and large the expected reactions are underplayed. Or overplayed. There’s some of both. Would I recommend this book? Only to the very patient, and those willing to work through the confusion of the twisty and illogical plot to delight in the witty and self-contained running commentary of our opinionated narrator Rachel. The Album by Mary Roberts Rinehart ~ 1933. This edition: Dell, 1971. Paperback. 311 pages. There was a lot to like about this convoluted domestic drama, but it almost didn’t get its 5, for it just went on for too darned long. The length was redeemed by its passages of quite decent writing, and by the sweet love story of the narrator, which added an aura of hope to a supremely nasty tale. She’s always sort of been there on the fringes of my reading consciousness. I have a handful of her murder mysteries (The Yellow Room, The Episode of the Wandering Knife, The Swimming Pool) which, over a period of years, regularly make the trip in to my mom’s place to provide some light reading for my book-a-day elderly parent. I recently read and reviewed one of her early melodramas, “K”, which I enjoyed, and I’ve just sought out and purchased a vintage hardcover version of her very early (1908) murder mystery, The Circular Staircase, the novel which established her career as a phenomenally best-selling mystery writer long before Agatha Christie entered the game. I once had a very handsome early edition of her very first book, 1906’s The Man in Lower Ten, which I gave away in one of those later-regretted merciless shelf purges; as I poke around exploring Rinehart a little deeper I do so wish I’d kept that one around, though I see it’s not as horribly expensive as it could be to replace if I so wish. Now that I’ve finally started paying attention, it seems that MRR is everywhere. A case in point is this 1971 reissue of a much earlier novel which I happened upon recently at a local charity book sale. The Album is mostly murder mystery, but it is also the tale of a young woman’s emotional awakening, as the horrifying events she becomes embroiled in shock her into an awareness of her own situation and trigger her to defy the convention of her quiet and dismally unfulfilled life. The Album was first published as an 8-part serial in The Saturday Evening Post in 1933. I could not find a record of what the author received for this work, but a similar serializations of The Wall in 1936 netted her a cool $65,000; not bad at all for the midst of the Depression! Mary Roberts Rinehart is well-known for being the highest paid writer of her era in the United States; she was hugely popular. The Album is narrated by 28-year-old Louisa (Lou) Hall, a self-proclaimed “hopeless spinster” living with her widowed mother and a number of household servants – including a full-time chauffeur – in a stately house on a secluded side street of a large American city. The other four residences echo the Hall home in architectural detail and in the quiet wealth of the occupants. In the outside world, things are moving at breakneck speed, but the occupants of Crescent Place live in a manner of a generation before. “Out there” women are happily pursuing careers and enjoying their emancipation from staid Victorian roles; in the Crescent time stands still. The house is the sole female focus; the correct technique of ironing of the damask tablecloths and the micro-management of the servants whilst preserving large portions of the day for such peaceful pursuits as taking tea with like-minded neighbours, pasting pictures in albums, and purely decorative sewing has been elevated to a high art. Matriarchs rule in several of the Crescent Place homes, but whereas the men of the households are at least able to daily escape into the real world to pursue their careers and recreations, the daughters are kept well under the collective maternal thumbs. Though the superficial picture is peaceful, the emotions held in check behind the masks of duty are ever closer to eruption. One afternoon the peace of the Crescent is shattered – forever, though the residents don’t know that quite yet – by the hysterical screaming of Lou’s next door neighbour. Dutiful spinster daughter Emily Lancaster, slave of an elderly invalid mother, has obviously had a severe shock; she collapses insensibly at Lou’s feet. She has just discovered her mother brutally murdered; five blows from a hatchet have suddenly severed Mrs. Lancaster from her iron grip on the household reins. The window of murderous opportunity was narrow. Mrs Lancaster was alone only for a few moments while Emily was in her bedroom changing her dress and feeding her canary; the second Lancaster daughter was showering and out of hearing; elderly Mr Lancaster was out, the servants were in the kitchen together. No stranger has been observed in the neighbourhood – the collective eyes of the Crescent residents, master and servant alike, are keen to any such intruder. 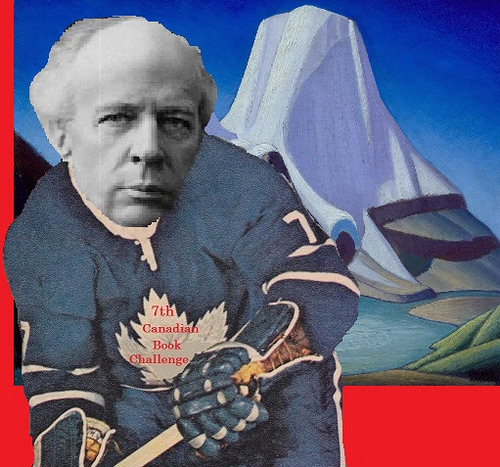 Obviously an inside job, by someone familiar with the Lancaster household’s habits. But who could it have been? The discovery that Mrs Lancaster has been hoarding a small fortune in gold bars under her bed adds a sinister twist, especially when the strongbox key the murdered woman habitually wears around her neck proves to be missing. More murders and attempted murders follow, and as the list of potential suspects shrinks through sheer attrition, the tabloids go wild with speculation, and dark family secrets are reluctantly revealed. It is inevitable that Mary Roberts Rinehart is compared to her across-the-Atlantic contemporary, Agatha Christie, and the comparison is apt. 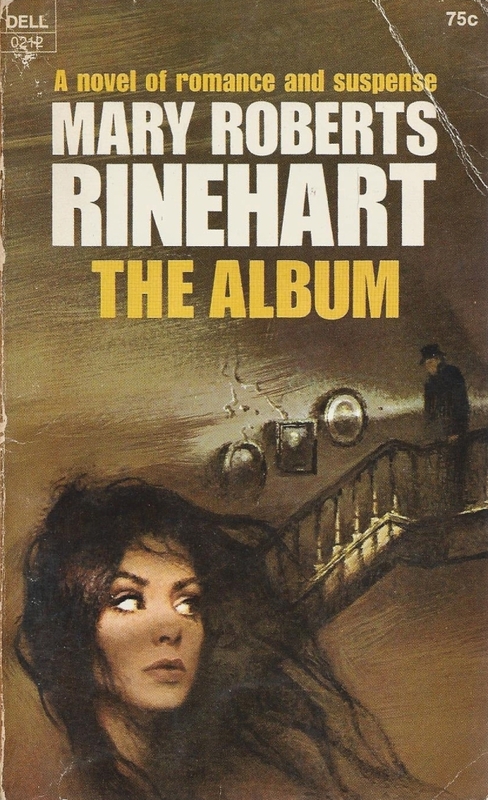 Both writers liked to mix romance with their crime; both attempted to write “psychological” thrillers on occasion; both were good at fabricating intricately choreographed plots; both were inconsistent in providing clues to their readers; both loved the hidden identity reveal at the last moment, and the implausible motive. The Album is a very uneven effort, and the narrator’s continual “if I had but known” refrain starts to grate slightly after the first few instances. Clues are mysteriously hinted at; some are proved to be vitally important while others are mentioned once and never again. The residents of the five houses act in the silliest of ways – first locking up their homes against the mysterious axe murderer and then wandering about alone in the night, which is handy for the furthering of the plot, but fatal for several of the key characters. Secret lives and hidden identities abound, and only in some cases are these fully developed; we are left hanging more than once. 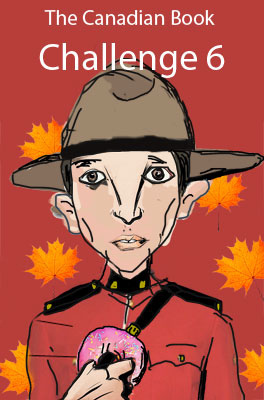 On the plus side are some nicely competent policemen who continually just miss being in the right place at the right time – and who are not held up to scorn by the narrator and author, a pleasant change from the usual bumbling officials – and a creative use of truth serum which reveals key plot points. The prototypically feminist Mary Roberts Rinehart accompanies her mystery with a strong critique of outmoded views on the roles of women. Both the oppressed daughters and their oppressing elders are held up to the light and analyzed and scolded by their creator for being complicit in their state of being. The daughters get the most sympathy, and are provided (in several cases) the opportunity to move away from their oppression into the light of the modern world; there is no question as to what the author thinks her characters should be doing with their lives. 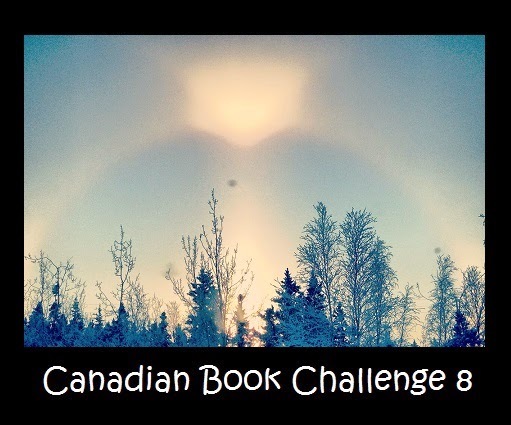 The novel’s main fault (like this review!) is that it was ultimately just a bit too long. It took forever to get through, and I kept having to set it down because the sheer multitude of detail was getting in the way of my keeping the plot(s) straight in my head. The murderer and the many secrets were revealed at the end, but by that time I was rather blasé about the whole thing; only my interest in the narrator’s romance and the well-deserved thrill she got from casting off her overbearing mother’s oppressive hand kept me engaged; the crimes faded into the background and the most horrifying details left me yawning. An interesting read, and one that left me thinking favourably of pursuing more of this writer’s work, though it will definitely be a while before I will willingly read this particular title again. It’s going on the pile to go to town to visit Mom today, and it should keep her occupied for at least a day or two – a definite point in favour! This is not my personal copy, but the dust jacket of an older edition. Apparently “K” was made into a movie at one point. 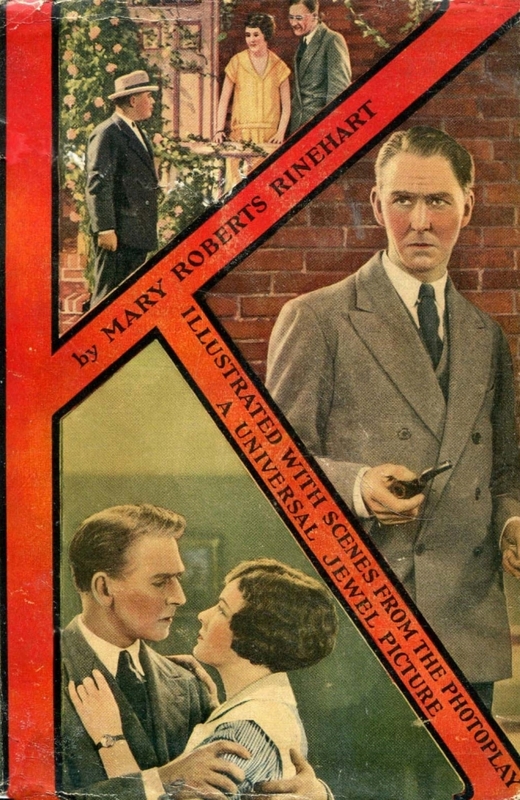 “K” by Mary Roberts Rinehart ~ 1914. This edition: Blakiston 1944. Hardcover. 407 pages. A melodramatic and exceedingly improbable story of an absolutely perfect heroine – beautiful, morally upright, self-sacrificing, pure through and through – you know the type! – and her three lovers. First is youthful and impetuous Joe, followed by brilliant (and fickle) young surgeon Max, and ultimately (somehow I doubt this will be a spoiler; especially as the cover pictured here completely gives it away) the mysterious “K”. Here we have a lovely young eighteen-year-old girl, Sidney, who decides to turn her back on marriage as offered by the infatuated Joe, and to make a career as a nurse. She is accepted as a probationer, and immediately falls head-over-heels in love with Doctor Max, a brilliant young surgeon whom she has known since childhood, but who has never realized what a lush young thing Sidney is until she pops up under his nose in nurse’s garb. Max is notoriously a lady’s man, with another love interest on the side, so the relationship seems questionable from the start, but Sidney succumbs (partially) to Max’s passionate advances. Her virtue remains intact, however, and she is saved from herself by the intervention of dark horse “K”. K. Le Moyne – he never gives a first name – shows up one evening at Sidney’s mother’s house to rent a room, and though he is tenaciously reticent about his past, his quiet charm and readiness to help out with a myriad of domestic situations – from nurturing a pet ground squirrel to helping with the cooking – makes him the friend of all. But what is K hiding? And why does Max reel in shock when the two men finally meet? What are they discussing behind closed doors on their subsequent nightly meetings? Did Sidney really mix up her medications and poison that pathetic young patient? Why is her superior Carlotta (incidentally Max’s main squeeze before Sidney’s entry) so alternately friendly and harsh to Sidney? And where did Joe get that gun? See? Told you it was melodrama! The cast of supporting characters is almost more interesting than the interconnected love triangles (quadrangles?) of the main protagonists. Here we have a couple of middle-aged lovers, one a cook and the other a deaf-and dumb book salesman, communicating by notes to each other as they sit out each evening on the back steps. Another middle-aged spinster goes off to live in sin with a man whose wife is languishing in a mental home; her decision to put herself beyond society’s pale by her last-chance clutching at love is most sympathetically portrayed. Dr. Ed, Dr. Max’s elder brother, is an old-school practical doctor in contrast to his younger brother’s cutting edge cleverness as a specialized surgeon. Dr. Ed, wiping his scalpel on his pant leg (sterilization dulls the edge, he maintains), proudly admires his brother’s accomplishments, and regards the sacrifice of his own career, his own never-attained wife and family as a worthy price to pay for his brother’s success. Dr. Ed has never married and has spent every penny he’s earned supporting his brilliant brother through medical school; his role in the story is as sort of a benevolent father figure, dispersing wisdom and keeping a high moral standard as an example to his friends and neighbours. Sidney’s Aunt Harriet is one of my favourites. Long the drab neighbourhood seamstress, Harriet pursues a long-held ambition to design clothes for the local haut monde, and after borrowing money to set herself up, eventually makes it to Paris, from whence she sends engraved circulars to the customers eagerly awaiting her return. I absolutely loved the glimpses of practical yet creative Harriet getting dress-designing inspiration from crocuses in snow, or the colours of the early morning city sunrise. A happy spinster, Harriet, illustrating an independent womanhood and its rewards, in a world which still maintains that marriage and motherhood is a female’s highest calling. Mary Roberts Rinehart was an exceedingly prolific writer of dramatic novels and mysteries, and a well-known feminist of her time. In “K”, her views on the rights of women come through loud and clear, though mixed rather oddly with this very traditional romance. She does allow her heroine to complete her goal to become a fully fledged nurse, though marriage awaits at the end of her qualification. I rather wonder what the after-story would turn out to be?